Bullies in the Pines Mural Decal. 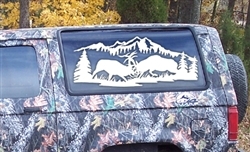 I'm an elk huntin' addict and I know a lot of you folks are too. We can't wait for Septemeber rut to roll around. 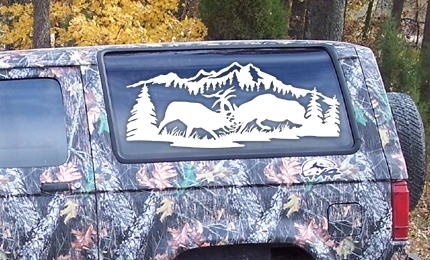 This Bullies in the Pines decal may just be the ticket for your Elk Huntin' rig, tag one today. This is the 27' X 11' Mural size. Available in larger sizes on request.